Guess I had a problem with my computer hook up as I thought this was posted but just discovered it wasn’t. Oh well here it is. 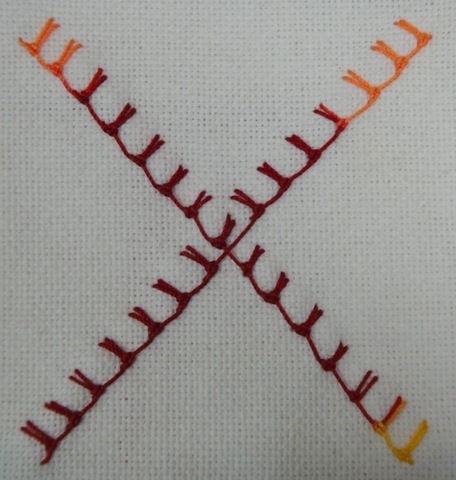 The Take A Stitch Tuesday stitch for the last week in September was Knotted Buttonhole Stitch. This was a new one for me and I liked it because I like Buttonhole Stitch. This was a lot like Up and Down Buttonhole Stitch except with a knot added. The fourth quarter of my September block for Crazy Quilt Journal Project used the Knotted Buttonhole Stitch. 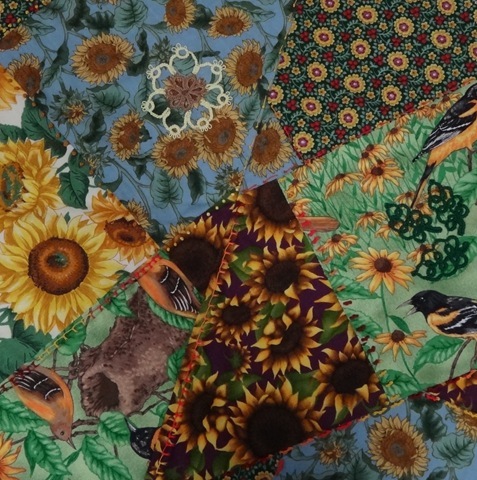 This completes My September Crazy Quilt Journal Project! 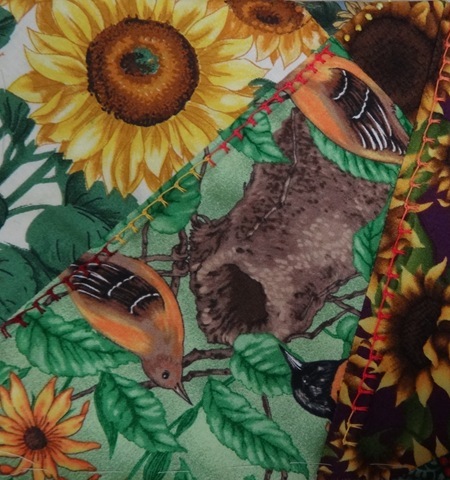 I enjoyed working with the sunflower fabrics. This entry was posted in CQJP, Knotted Buttonhole Stitch, TAST, Tatting. Bookmark the permalink.